Dane G. Hansen Foundation | Slippery Slopes! You are here: Home » NEWS » GRANT STORIES » Slippery Slopes! 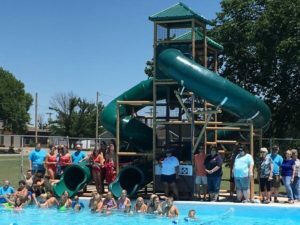 A grant from the foundation assisted in the purchase of slides for a community pool in Ellis. 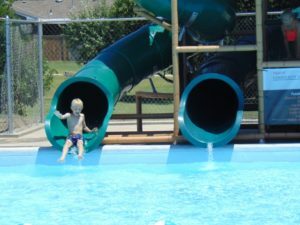 The addition of the slides is credited with increasing attendance at the pool by nearly 10%. Children of all ages, even adult kids, enjoyed the slides, often cheering for each other and racing. Increased attendance is also credited with keeping families home for recreation fun and helping support local businesses.